Scroll down the page for all of the free resources for this week, including insights on each chapter, printable scripture cards, and (if you haven’t printed a copy yet) the FREE study guide. The study questions for each week are all recorded in the study guide below. Contrary to popular belief, the Ten Commandments don’t exist to simply give believers a list of do’s and don’ts. They weren’t designed to burden God’s people, but rather to give them direction, and guidance and grace. By showing them where they went wrong (failed to keep the law of God) they recognized their need for a Savior. And so the law, including the Ten Commandments was God’s way of pointing mankind to salvation. The Ten Commandments illustrates the character of God who is just and fair, and loving and kind. While He provides protection and guidance, He also offers a time of rest for His people. He wants my devotion, my love, and my full attention. When we put Him first, all of the other commandments fall into place. I’m created for His pleasure–designed to crave Him above anything else. Therefore my joy is incomplete, without complete reliance on Him. What really stood out to me in these two chapters, was the compassion of God for His people. He started off by addressing the least among them—the servants–and how they should be treated. He went on to make laws that gave a voice to virgins, daughters, the unborn, widows, hard-working men, orphans, animals, and the poor. In particular, I noticed how at the end of chapter 22, He is gracious and empathetic, thoughtful and kind–willing to fight for those who can’t fight for themselves. I couldn’t help but wonder how many times I’ve glossed over these chapters without stopping to realize just how amazing He is. In this chapter, the Israelites are instructed to keep certain feasts at certain times of the year. A closer look at these feasts teaches us that every detail points the believer to Christ. The Feast of Unleavened Bread (verse 15) is symbolic of both the death of Christ and repentance. By removing any trace of leaven from their diet (and their home) they illustrate a life wholly devoted to God by leaving the sin of their old life behind. The second feast listed in this chapter, “The Festival of Harvest,” is known by several names today, the most popular being Pentecost. It’s also known as The Feast of Weeks because it took place seven weeks after the Feast of First Fruits (the resurrection of Christ). This feast also aligns with the giving of the law at the foot of Mount Sinia seven weeks after the Israelites left Egypt. Shavuot marked the beginning of a new season. 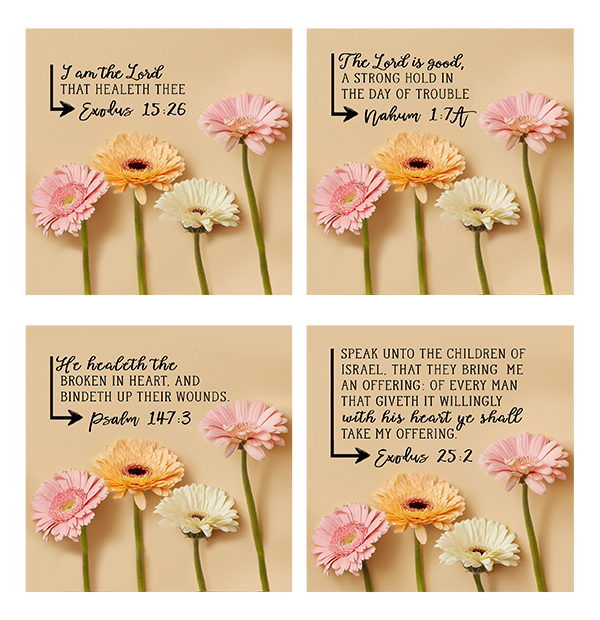 This was the first day that the first fruits (the 7 species of fruit identified with Israel) could be brought to the temple as an offering unto the Lord. The first fruit of the season, also referred to as “bikkurim,” were set apart. The way that a farmer would designate the first fruit was by tying a reed to it the moment it came to fruition. This allowed the farmer to recognize the first fruits upon harvest, and to designate them for the Lord. Farmers would gather their wheat, barley, grapes, figs, pomegranates, olives, and dates. Then packing them up in their baskets, they would journey to Jerusalem for the celebration of Shavuot. The dwellings that God commanded Israel to live in for seven days is known today as a “Sukkah.” Each family was to prepare a simple shelter with sticks and bits of wood, or anything else that they could find. These temporary dwellings would be a physical reminder of what their ancestors had to live in for over 40 years as they wandered through the desert on their way to the promised land. What’s interesting to note is that while there are seven feasts in total, only three of them are mentioned in this chapter. Why? Because these three feasts have one common denominator–they are what is known as “pilgrimage feasts.” Pilgrimage feasts were not only celebrated, they had to be celebrated in Jerusalem. Why did so many people witness the death and resurrection of Christ? They were instructed to celebrate the feast of Unleavened Bread in Jerusalem at that time of year. Why were there “devout Jews out of every nation under heaven,” in Acts chapter 2? And how did 3,000 souls come to salvation that day? Thousands of Jews were in Jerusalem for The Feast of Weeks. And so we see God’s timing in these pilgrimage feasts, as they pointed to the coming Messiah. 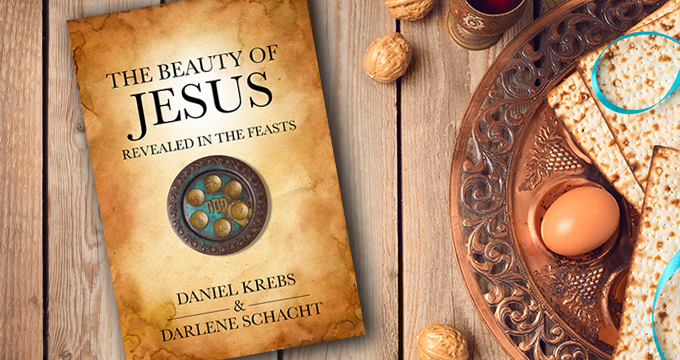 For more information on the Biblical feasts, pick up my book, The Beauty of Jesus Revealed in the Feasts. Available at Amazon. And so we continue to see every detail of the Exodus story both point to Christ and mirror the salvation message through Him. Immediately after that, God tells Moses, “Come up to me on the mountain and stay here, and I will give you the tablets of stone with the law and commandments I have written for their instruction.” (V 12, NIV) And what do we see in the New Testament? In this chapter, we’re introduced to the ark of the covenant. This was the placed in the holiest part of the tabernacle, and later in the holy of holies within the temple. It was within this room that the shekinah glory (a pillar of cloud or fire) rested above the ark of the covenant signifying the presence of God. Once a year on the day of atonement, the High Priest would carry the blood of a bull into the Holy of Holies. Taking his finger, he sprinkled the blood of the bull once on the mercy seat; and seven times before the Ark of the Covenant, making atonement for himself and for that of his family. As we see in that verse from Leviticus, life is in the blood. It’s for this reason that the blood of Christ was necessary in order to atone for the sins of the people. In Romans 5, Paul explains how sin entered the world through one man, and death through that sin. Adam and Eve didn’t suffer a physical death that moment they sinned, but spiritually they were dead in that they were separated from God. The blood of Christ was the life-giving atonement that bridged the gap between God and man. The blood of bulls, and that of goats, which we read about in the Old Testament, didn’t have the power to take away sin. They didn’t have the life-giving power that would reconcile God and man. No, it simply pointed the way to Christ and illustrated the importance of the shedding of blood. The substitutionary sacrificial atonement of Christ is the only solution for man and the only way to salvation. At this point, no one knows where the Ark of the Covenant is today. After the Babylonian captivity, the Israelites returned to Jerusalem, but the Ark of the Covenant did not. What we do know however is that we will see it again in heaven. “Then God’s temple in heaven was opened, and within his temple was seen the ark of his covenant. And there came flashes of lightning, rumblings, peals of thunder, an earthquake and a severe hailstorm.” – Revelation 11:19, NIV. I also enjoyed the symbolism of the lampstand in this chapter. When I first studied this, I saw the lampstand as the Holy Spirit burning within the heart of every believer. As I dug deeper, I saw a bigger picture, which was the light that shines out from within us. This light is fuelled by the Spirit of Truth. The more we adhere to that truth—the brighter we shine. And so it’s important that we keep these lamps burning by obeying the truth. The number six represents man. We see six branches stemming from the main branch of the lampstand. The number seven represents completion, and so we see that we are complete in Christ the main stem of the lamp. The light is the fruit of our faith that brings glory to God. This fruit/light is the love we give to others. It’s standing up for the truth when we’re standing alone. It’s the joy we have in our hearts. It’s the peace we find in the midst of our pain and the gentle way we forgive. Note: This study is FREE, but there is an optional addition for anyone who wishes to purchase a journal instead of downloading one. 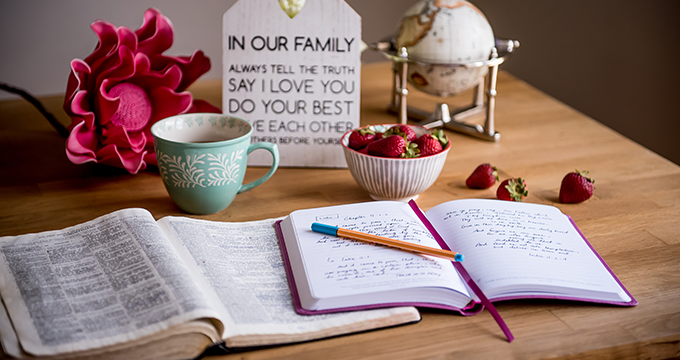 In addition to the questions, the journal is beautifully designed with daily Bible verses. The link for the journal is at the bottom of this post or you can go straight to Amazon to find it. Click here. In addition to the study guide, I’ve created a journal (available now at Amazon) for the study. 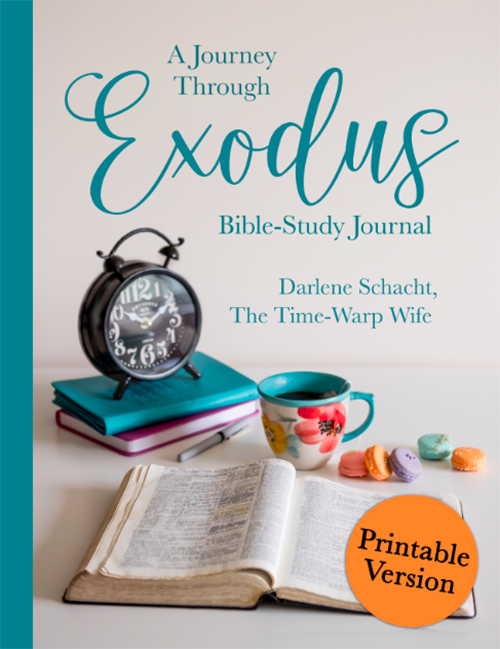 The journal has all of the same questions that the printable version has PLUS daily Bible verses and beautiful graphics. The journal is not only beautifully designed, it also has everything in one place so that you don’t have to download and print the questions. It’s designed to be a keepsake in which you can journal, and then tuck away for future reference. It’s ideal for group study because members can take their booklets home, answer the questions, color in the pages if they like, and bring them back each week to share their thoughts. 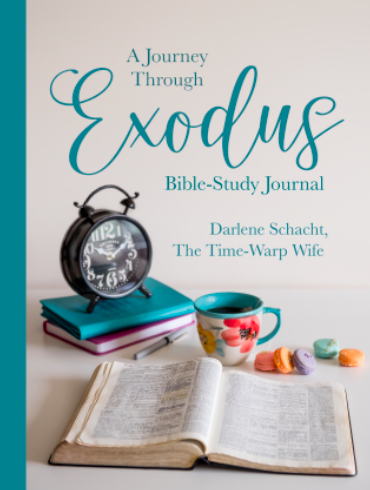 Hi, I was wondering if your book on Exodus contained your “thoughts on Exodus “ as written in your blog, questions, or both? Hi, Thank you so much for this study which I am so enjoying. I just found your site and cannot find the videos for lessons 20-40. It doesn’t matter is they are sideways or not: sometimes my ears hear sideways. Thank you so much for putting these online. You have put a lot of hard work in these studies and I appreciate you. May God bless and keep you and yours.